With the popularity of VPNs continuing to soar, it is inevitable that they will start to get more mainstream media coverage. It is perhaps a surprise that hasn’t happened more already, but popular online magazine Slate has attempted to redress this balance with a lengthy and fascinating article highlighting the challenge of choosing the right VPN and the internal politics that exist within the industry. 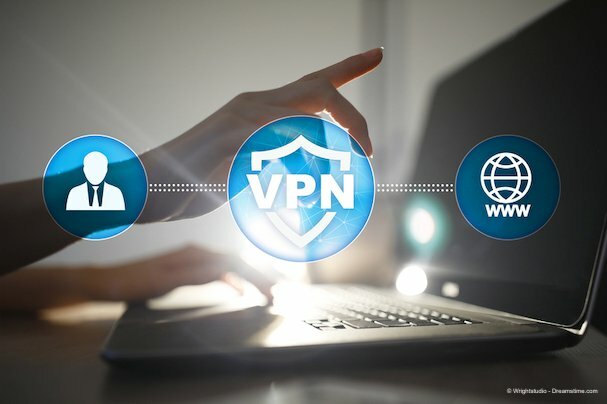 The author of this lengthy tome, Will Oremus, begins his article by highlighting advice from reputable sources including Consumer Reports, the New York Times, and the Federal Trade Commission which says that if you want your internet activity to be private and secure, you should always use a VPN. He then sets off on a journey to find the best one around. He could have just visited us here at VPNCompare.co.uk, of course, but instead, he went to the VPNs directly. What he finds is a hugely competitive industry with different providers all too keen to attack each other in public. The main clash highlighted in the article is between AnchorFree and ExpressVPN. As Oremus notes, ExpressVPN is a top-rated VPN around the world. In contrast, AnchorFree is the operator of popular free VPN, Hotspot Shield. The ideology of these two companies couldn’t be more different. Hotspot Shield has acquired a huge user-base primarily through charging no fees. But, as we have noted on this site previously, this comes at a huge cost to users. AnchorFree contacted us to inform us that only their Android app serves adverts and the service itself is in fact funded by their paying customers. ExpressVPN is, of course, at pains to stress these flaws. But in response, AnchorFree attacks ExpressVPN for not disclosing its ownership. Their CEO even claims that ExpressVPN might be based in China. There is zero evidence to support this accusation and ExpressVPN Vice President, Harold Li, who is based in Hong Kong, was quick to highlight the various ways ExpressVPN helps users in China to evade Chinese censorship and surveillance as evidence that they are not in the pocket of the Chinese Communist Party. Most independent experts agree that ExpressVPN is almost certainly not based in China, but AnchorFree are not the only people who have questioned why ExpressVPN and other providers such as NordVPN are not more transparent about their ownership. It is a fair question to ask, but there is a good reason as Oremus outlines in his article. By locating a VPN offshore (ExpressVPN is based in the British Virgin Islands and NordVPN in Panama) they are able to avoid local laws in big countries like the US. This means that they can offer better privacy protection to their users. ExpressVPN highlight the case in Turkey to illustrate this. In 2017, Turkish authorities seized ExpressVPN servers to try and find communications between a suspect in the assignation of Russian ambassador Andrei Karlov and the Turkish cleric Fethullah Gulen, an opponent of the regime of Turkish President Recep Tayyip Erdoğan. They found that the servers held no user logs, which proved that ExpressVPN’s no user logs claim is a genuine one. If they has a USA base, it is likely that this wouldn’t have been the case. Oremus does touch on the issue that VPNs can be used for illegal activity such as streaming content illegally or hiding other more serious criminal activity. But this is an inevitable consequence of guaranteeing online privacy and something providers like ExpressVPN are always at pains to discourage. The question of whether VPNs should be able to breach the privacy of their users to stop such activity goes right to the heart of the privacy v security debate that has been played out in government and the media for several years now. It is something that could easily generate an even longer article if it were addressed in detail. The conclusions that Oremus reaches at the end of his article are broadly in line with what we have been saying on this site for many years now. His states clearly that everyone should “steer clear of free VPNs.” We heartily concur with this and have written extensively about the dangers of free VPNs in the past. The author persists in his concerns about VPNs that haven’t revealed their ownership, but he does conclude that if genuine online privacy is what you want, then a VPN based offshore is the best choice. Again, we wholeheartedly endorse this recommendation and this is one of the many reasons why ExpressVPN and NordVPN sit in the top two positions on our recommended VPN list. It is refreshing to see the mainstream media reaching the same conclusions as we have about the VPN market. It endorses the tireless work we put in on this site and highlights to a broader audience the importance of using a VPN if you want to stay private and secure online.